Way up north in Scandinavia, Finland awaits with its jagged lakes, Arctic fells, and forested hills. This northern country shares its borders with the countries of Russia, Norway, and Sweden, as well as the Baltic Sea, and it is a perfect holiday destination for skiers and nature lovers. Cross-country skiing in one of Finland's national parks, like Koli National Park with its long trails and windswept fells, or Alpine skiing on mountains like at the Levi Resort in Kittilä, are both wonderful ways to see the Finnish countryside, and of course, after the sun sets, the Northern Lights fill the sky in Finnish Lapland and offer an even more spectacular view. 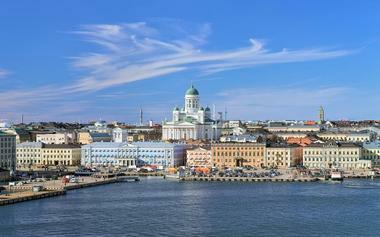 Helsinki, the capital of Finland, is located on the country's southern coast on a small peninsula in the Gulf of Finland. Visitors to Helsinki can take a stroll down the Mannerheimintie, the city's main street, which is lined with many cultural and fun attractions. There's the Finnish Parliament House, the National Museum, where guests can learn about Finland's history as far back as the Stone Age, and the Kiasma, a modern art museum. 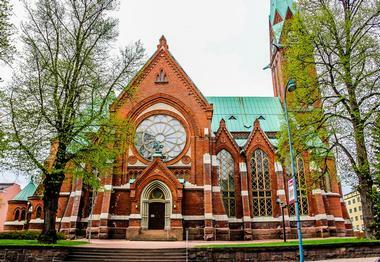 In Helsinki, visitors can also find Uspenski Cathedral, a red brick structure that was built in the 19th century and sits at the edge of the city's harbor. Helsinki is a great home base for a holiday in Finland, with many other towns and cities in easy distance for a day trip. 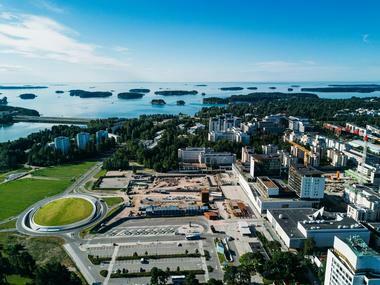 Although it might seem small by the standards of other big cities, Espoo is actually the second largest city in Finland. Located near the south of the country, only about a 20-minute drive from Helsinki, Espoo offers a heavy dose of culture with its monuments, museums, shopping, and restaurants, but still manages to stay very close to nature. 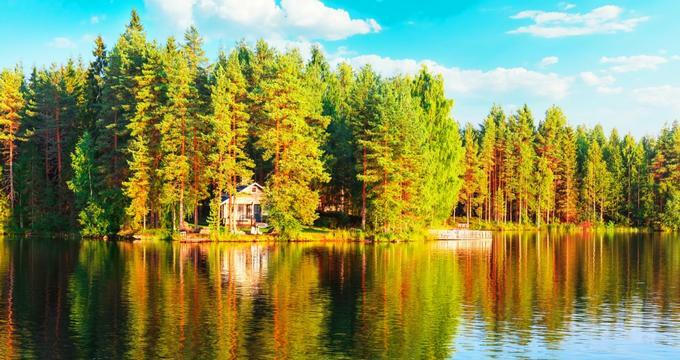 Espoo is very conveniently located to Nuuksio National Park, a massive natural space with scenic forests and lakes, and Espoo is also only a few miles from the coast of the Gulf of Finland in the Baltic Sea. 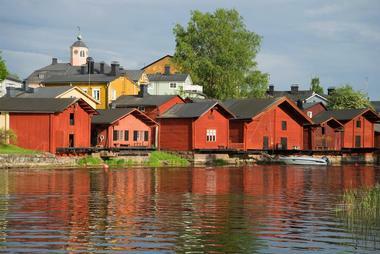 Located in southern Finland, Hämeenlinna is a city on the shores of Lake Vanajevesi. This beautifully historic destination features an iconic medieval castle made of red brick called Häme Castle, where guests can explore the 13th century stone structure and its idyllic setting alongside the lake. Visitors can also spend a day at Torronsuo National Park, a natural swampland known for the diversity and prevalence of bird life, or check out one of Hämeenlinna's museums, like the Artillery Museum of Finland or the Skogster Museum. Hämeenlinna also offers many beautiful historic houses to tour, like Palander House or the home where famous composer Jean Sibelius was born. In eastern Finland near the Russian border, travelers may find Imatra, a town that is known for its proximity to the Vuoksi River as well as Lake Saimaa. The powerfully stunning Imatrankoski Rapids are the largest river rapids in Europe and are a popular attraction for tourists visiting the area. Kruununpuisto Park, the oldest national park in all of Finland, also offers a beautiful peek into nature right in the center of the city. 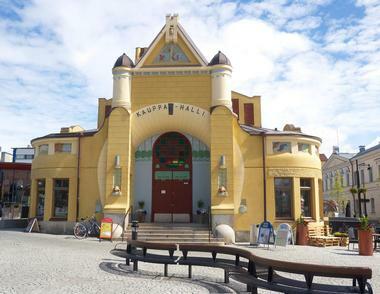 Multiple museums in Imatra, as well as the thriving Cultural Center, and many historical homes and buildings available for tourists to explore make Imatra an exciting and attraction filled place to visit. 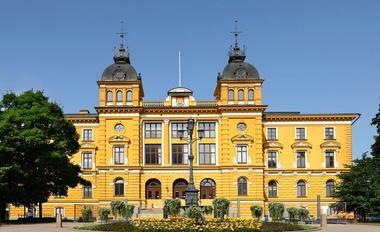 Jyväskylä is a city in central Finnish Lakeland. There is a lot of beautiful architecture in Jyväskylä, especially works done by famous architect Alvar Aalto, who designed many of its buildings. Jyväskylä is home to two sites listed as UNESCO World Heritage Sites, including Petäjävesi Old Church, a unique and beautiful wooden Lutheran church that was built during the mid 18th century, and a 19th century research station called the Oravivuori Triangulation Tower, which was set up in the mid-1800s to try and determine the size and curvature of the Earth, but now makes for a beautifully scenic overlook. Kemi is located at the northern end of Bothnian Bay, in Finnish Lapland. This Arctic town is a winter wonderland and is home to the Snow Castle, a beautiful seasonal attraction open from January through April and featuring beautiful tunnels, rooms, walkways, and sculptures, all made entirely from ice. There is a snow restaurant, an icy chapel where people come from all over the world to get married, and even an ice hotel where brave guests can spend the night in sub-zero temperatures. Kemi is also home to the icebreaker Sampo, a gigantic ship designed to smash through the thick ice of the polar seas, and visitors can take a cruise on Bothnian Bay in this leviathan of a ship. 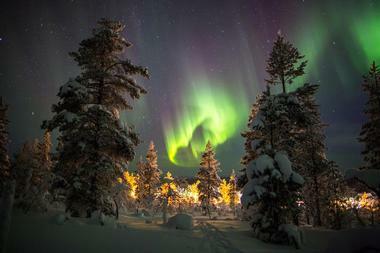 North of the Arctic Circle in the vast wilderness of Finnish Lapland lies Kittilä, a popular resort town. At Levi Resort, visitors can ski or snowboard on impressive mountain slopes, and in the evenings from September until April they can catch a stunning glimpse of the beautiful and unearthly phenomenon of the aurora borealis, shimmering in shades of green, pink, yellow, and violet in the night sky. Levi also hosts an educational exhibit about the Sami people, who are indigenous to the region, with photos, artifacts, and even buildings that reflect their culture. Elsewhere in Kittilä, visitors can explore Pallas-Yllästunturi National Park, which features high and barren arctic fells, beautiful forests, and boggy mires. 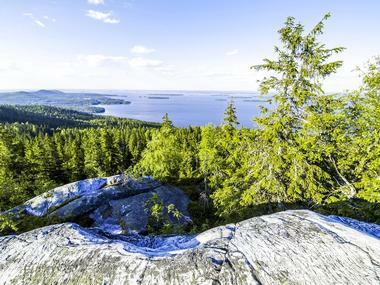 Year round, Koli National Park offers its guests a breathtaking look at Scandinavian nature. Depending on the season, visitors can hike, snowshoe, or cross-country ski through vast, open fields, snow-dusted fells, forested hills, and even beaches. There are many short and scenic trails perfect for a day trip as well as others like the Lake Herajärvi Trail, which is 18-40 miles long and takes several days of hiking to complete the route. Lake Pielinen offers a great option for those interested in canoeing or kayaking, and other attractions in the park include caves, waterfalls and, in the warmer months, fields full of beautiful wildflowers. The city of Kotka in southern Finland is located on the coast of the Baltic Sea, about 30 miles from the Russian border. In Kotka, visitors can check out the Maritime Museum of Finland as well as the Maretarium, an aquarium that showcases species of fish found in Finland. Kotka is truly a fishing enthusiast's paradise as the Kymijoki River, which runs through the city, has some of the best salmon fishing opportunities in the country, and Langinkoski, a rapid on the river, has an old building that was once an imperial Russian fishing lodge. Those who aren't looking to go fishing but would still like to enjoy the scenery can go kayaking or whitewater rafting on the rushing waters of the Langinkoski Rapids. Whitewater rafting on the rapids of a rushing river, hiking through fells and forests full of untouched old growth trees, and skiing down the side of a mountain with a sweeping view of the landscape before you are just some of the adventures that await in Kuusamo. 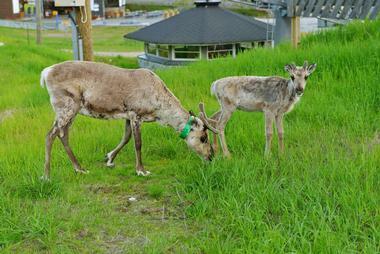 Ruka Ski Resort is internationally renowned, and it is one of the largest ski areas in all of Finland. There, visitors can enjoy ski jumping as well as cross-country and Nordic skiing on award-winning trails that have been featured in world skiing competitions. Each winter, Kuusamo is home to the Iisakki Winter Village, a beautiful town of igloos and structures made entirely of snow. There are snow shops, snow restaurants, a snow theater, and even a snow chapel for weddings. Lappeenranta is a city located on the southern shores of Lake Saimaa, less than 20 miles from Finland's eastern border with Russia. 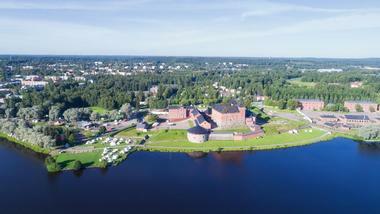 The Lappeenranta Fortress was once a line of defense for the city, but today is full of new life as the old town of the city, where visitors can stroll the historical streets as they browse the artisan's shops and check out the museums that now call this district home. 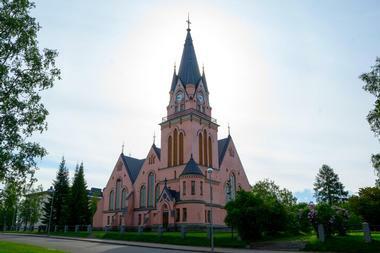 Lappeenranta also has an extensive collection of historic churches, buildings, museums, and beautiful parks for travelers to enjoy during their visit. 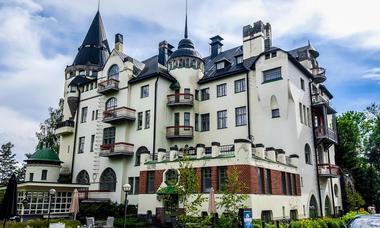 The historic town of Naantali was once a large convent, but today this municipality, mostly located on an archipelago in southwest Finland, is a popular tourist hub. It's one of the oldest towns in Finland, founded in the 15th century for a convent whose church is still an iconic part of the town today, and is spread out over several lovely, scenic islands. Visitors can tour the Naantali Church, located at the top of a hill in town as a very visible high point. 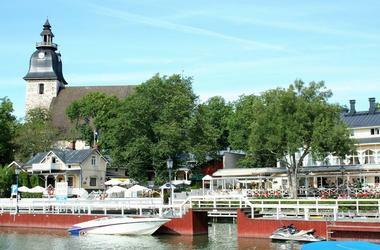 Naantali is also home to Moomin World, a children's theme park based on the popular book series by Tove Jansson. Nuuksio National Park encompasses over 20 square miles of beautiful natural space on southern Finland, just north of the city of Espoo and an easy drive from Helsinki. Nuuksio National Park features well-marked hiking trails of varying degrees of difficulty - with options as short as 1 mile and as long as 10 miles - as well as almost 20 miles of biking trails and nearly 15 miles of trails suitable for horseback riders. The park's landscape is dotted with many peaceful lakes, green forests, and beautiful craggy rock formations. Visitors can go camping in huts or in a more rough, wild setting in their tents and enjoy a taste of the beautiful Finnish wilderness. The rugged wilderness of Oulanka National Park is simply stunning. 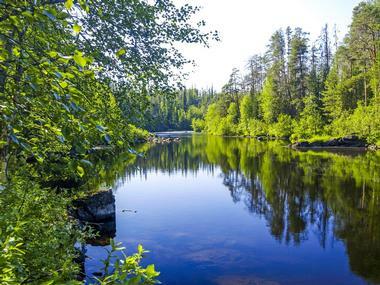 Located in the Finnish regions of Lapland and Northern Ostrabothnia, Oulanka National Park has over 100 square miles of hills, forests, and rushing rivers. 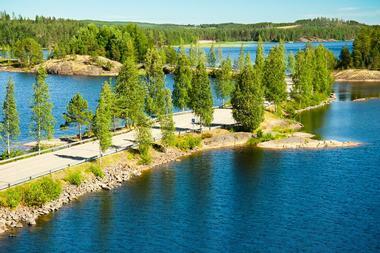 The park shares its border with Russia and massive Paanajärvi National Park just on the other side. Visitors will find surging rapids in rivers that travel down paths carved by ice age glaciers as well as waterfalls, hanging bridges, and wide meadows. 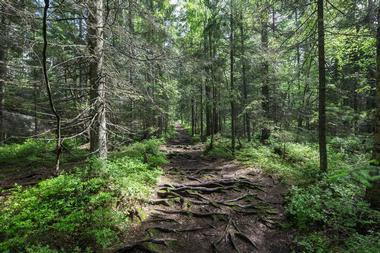 Hiking trails in Oulanka National Park vary from short day trips that can be taken on foot or by snowshoe, depending on the season, to the massive but beautiful 50-mile Karhunkierros Trail. In central Finland, the city of Oulu marks the place where the Oulujoki River empties into the Bay of Bothnia. Though it is located below the Arctic Circle, Oulu is still a winter wonderland for visitors, with frequent views of the Northern Lights during the fall and winter seasons. Oulu is the largest and oldest city in northern Scandinavia, and this history is reflected in the city's buildings, like Oulu Castle, a structure built in the 16th century on the site of an even older fortress from about the 13th century. Tours and private guides will show visitors around the city of Oulu as well as the surrounding regions, including cross-country skiing, Arctic camping trips, and much more. Porvoo, located on the southern coast of Finland, is one of the oldest cities in the country, dating back to the 14th century. This charming city offers historical homes and buildings available to tour, like the Postimäki Outdoor Museum, where visitors can see dwellings and cottages from the 19th century and learn all about how those people once lived. The Porvoo Cathedral, parts of which date back to the 13th century, is a wood and stone structure that has seen many changes over the centuries and contains a lot of history about the Evangelical Lutheran Church of Finland. Visitors to the city can also enjoy delicious food, museums, shopping, and a plethora of art galleries. 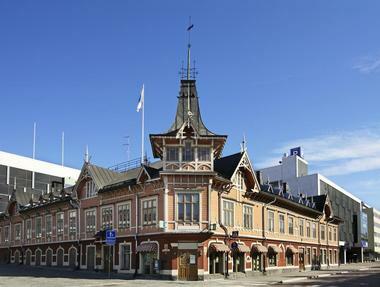 The town of Rauma is located on Finland's west coast, alongside the Gulf of Bothnia. Like many coastal towns in Finland, it depends on fishing as an industry and not only has delicious seafood at its restaurants, but also offers a number of attractions based around the maritime industry, such as the Rauma Maritime Museum, which is located inside a historically significant building and tells the history of the area through the fishing industry. Then there's the UNESCO World Heritage Site of Sammallahdenmäki, an ancient burial ground with three dozen stone cairns, some of which date back more than 3,000 years. Rovaniemi was nearly entirely destroyed during World War II, but tirelessly rebuilt itself into the modern city it is today. 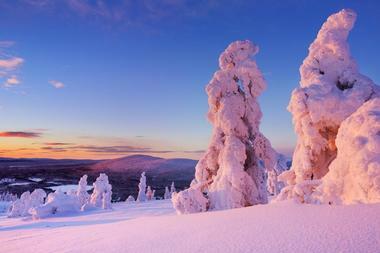 Rovaniemi is the capital of Finnish Lapland, located just a few scant miles south of the Arctic Circle. 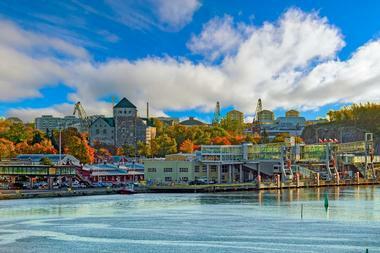 The cold and remote location of this city, however, has no bearing on the warmth and culture of its people. 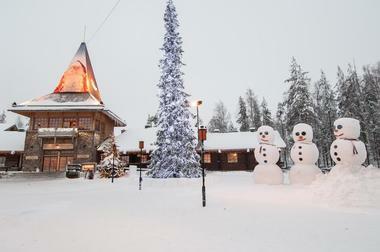 Rovaniemi proudly proclaims itself to be the official hometown of the man in the red suit himself: Santa Claus, so a Christmas visit to Rovaniemi, especially with the family in tow, is sure to be a truly magical one. It's a great place to see the Northern Lights at night, learn about Arctic exploration at the Arktikum, and witness the midnight sun during the summer. Saariselkä, located in the northernmost reaches of Finland, is a small village that lies at the gates of mountainous Urho Kekkonen National Park. This massive park covers almost 1,000 square miles of Arctic mountains and frozen tundra and is populated by herds of reindeer. It's an incredibly remote park, and certainly very cold, but the views in Urho Kekkonen National Park are absolutely breathtaking. In the village of Saariselkä itself, visitors can warm up with a coffee or cup of hot cocoa before or after a day spent skiing and exploring everything the region has to offer. Lake Saimaa is the largest lake in Finland and one of the largest lakes in all of Europe, with about 1,700 square miles of water, and it was formed by the melting of a massive glacier at the close of the last ice age. Lake Saimaa is dotted with many beautiful islands, some of which are tiny and many of which are completely uninhabited. Visitors can rent a kayak, canoe, or boat or opt to take a steamboat tour with an experienced guide, who will point out specific islands and points of interest, tell stories, and explain the history behind the sights and scenery, allowing visitors to relax and enjoy their trip. Savonlinna, located in the Saimaa Lake region of Finland, is a beautiful coastal town made up of a collection of islands with an iconic 15th century castle and fortress. The castle Olavinlinna, which was first built in 1475, has three massive stone towers and is located on a small island accessible via a bridge. This imposing historic fortress is open for tours and is also home to a museum that describes the castle's history and displays artifacts found within the castle over the centuries. 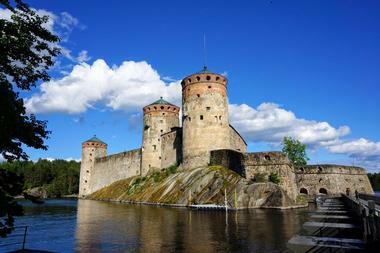 Savonlinna is the host of the annual Savonlinna Opera Festival and also features many other festivals, musical events, and fabulous seasonal attractions each year. 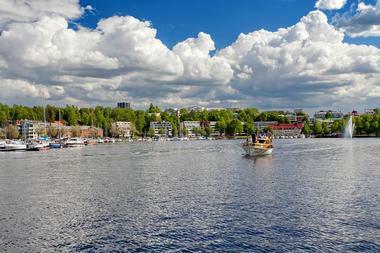 Tampere, in Southern Finland, is situated between two large lakes (and close to 200 others!) 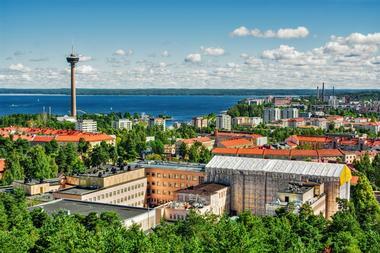 and is one of the most populous cities in Finland. Visitors to Tampere can see the grotesque art inside Tampere Cathedral, which was built in 1902, or learn about Kaleva Church, which is shaped like a fish when viewed from above. Fantastic views of the surrounding lake region can be seen up close at one of the nearby parks, beaches, or forests in the area or from the top of the Pyynikki observation tower, which has a cafe at the top that is famous for its delicious doughnuts. Turku is a Finnish city located on the southern coast that historically has been well known for its shipbuilding industry. Visitors to Turku can learn about shipbuilding at Forum Marinarum, with exhibitions that even include the shipyard where some of the largest ships in the world were made. Turku Castle, a 13th century stone structure, is one of the oldest buildings in Finland that is still in use today. 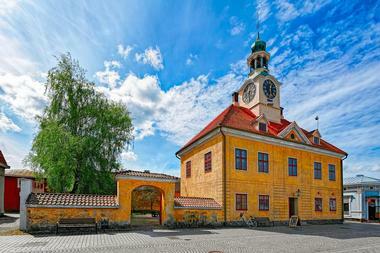 Visitors can tour the castle and learn about its history in the attached museum. There is also Turku Cathedral, which was built in 1300 and restored after the destruction of a fire in the 19th century. 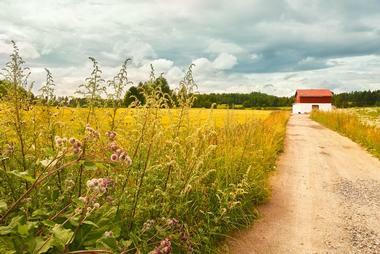 Vantaa is a city located very close to Helsinki on the southern coast of Finland. In Vantaa, visitors will find a plethora of cultural attractions, including the Vantaa City Museum, the Finnish Aviation museum, and Heureka, a science museum with a planetarium. It's very conveniently located for a day trip to Sipoonkorpi National Park, where guests will find hiking trails, peaceful nature, and a forested park that is great for a relaxing day. Vantaa is located further inland than Helsinki, but it is still very easy to get from the city of Vantaa to the coast of the Baltic Sea, and as a result Vantaa's restaurants are full of delicious fresh seafood.